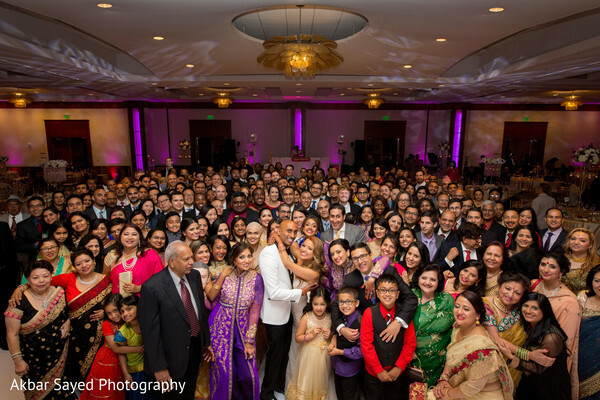 Welcome back to the final installment of Arjoo and Sharath’s amazingly gorgeous wedding celebration out of Virginia! 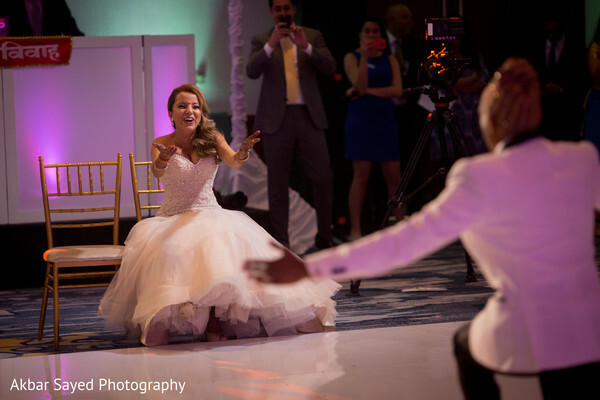 We’ve reaching the grand finale reception soiree, and we’re jumping with joy at all the fun-filled shots! The glamorous bride switched sartorial gears into an angelic white gown, and we’re loving this mix of Eastern and Western fashions. 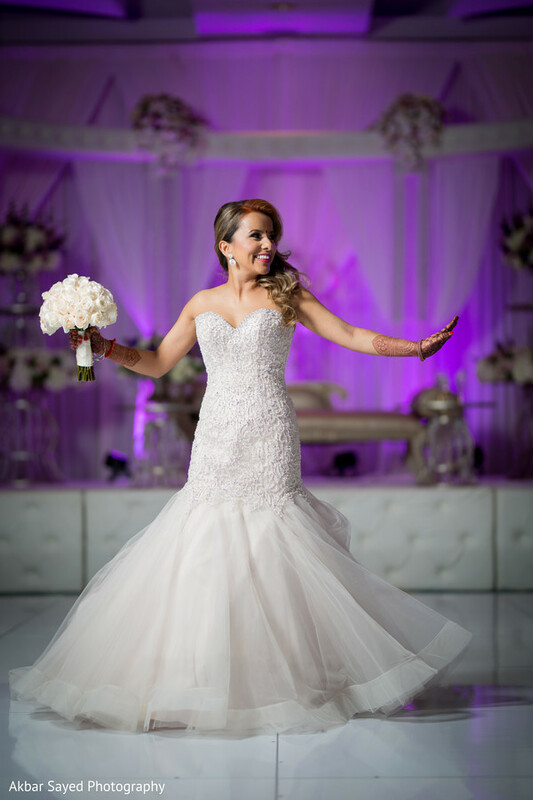 Makeup by Ana B sparkled the bride up with glowing skin, glittery lips and of course, a bombshell ‘do! The groom looked dapper in a rock star worthy white tux. Talk about a gorg couple! 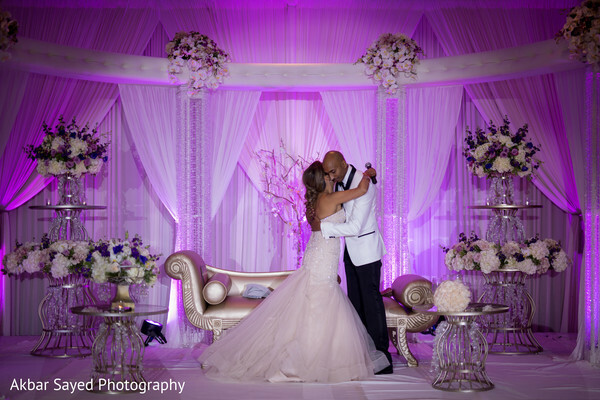 Platinum Wedding and Decor transformed The Westin Alexandria venue into a violet wonderland, and we are obsessing over the lovely combo of candles, uplighting, and oodles of blooms. Pure romance! 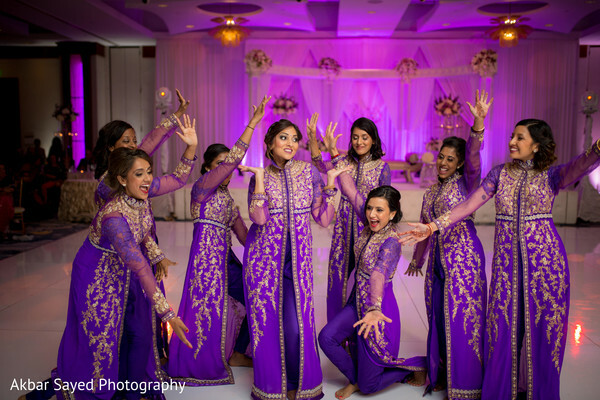 To amp up the wedding fun, Live Sound Entertainment brought in some turntables and blasted tunes until the wee hours of the morning! We loved witnessing the jam packed dance floor with elated guests celebrating the duo on their newlywed status. 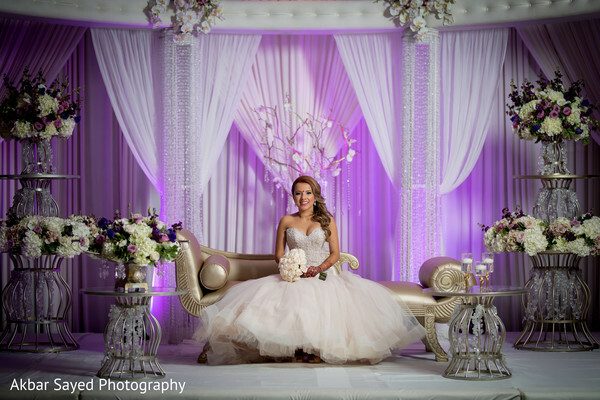 Akbar Sayed Photography captured every delightful shot, and all the images can be found in the complete gallery. Also, make sure to scroll below for all the inside scoop from Arjoo herself! Sharath and I met in January 2009 while Sharath was in town for President Obama's inauguration. Sharath was staying at my best friend's (Jenny) house (he was friends with her brother) for the inauguration and I came over that day just to hang out at her place. Prior to me going over, Jenny said to me "Jason's friend Sharath is here, you know what, I bet he is going to like you, you are definitely his type." As soon as I saw him, I instantly liked him and little did I know, he was attracted to me also :). Sharath then walked into the kitchen where Jenny's mom was cooking and he started talking about food and culture. Sharath told Jenny's mom who is also South Indian, "I've always wanted to go to Tibet and see the Himalayas." As soon as I heard him say that, I thought, I should tell him I'm from Nepal!!! So i popped out of the other room and yelled out , "I could be your sherpa." Sharath and I remained friends for the next couple of years as he lived in Atlanta and I liked in Maryland. Sharath came into town for Jason's wedding four years later and after the wedding is when we started chatting more on Facebook and then we decided to start dating. I always admired Sharath as Jenny's and her family has such great things to say about him and so once we started talking more on Facebook and I realized we have similar characteristics, I definitely knew he was the one then :). Since we both met at Obama's first inauguration and started dating at his second, Sharath knew proposing in front of the White House would be a great idea! So before Obama left office, Sharath proposed to me the day before my birthday and secretly we were hoping Michelle and Barack were watching!!! 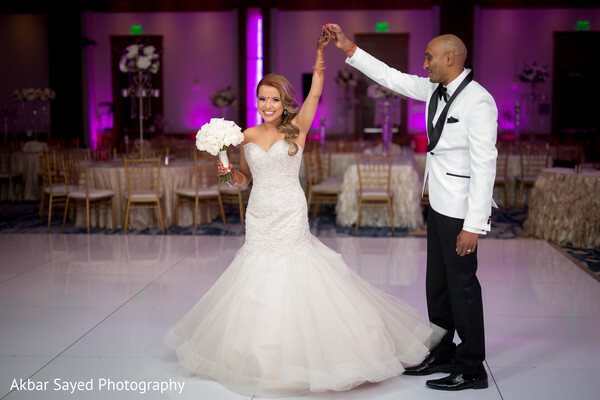 I have always loved weddings and grew up dreaming about my wedding! 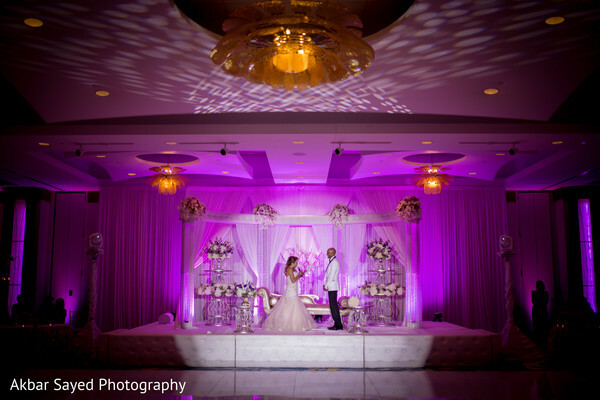 I planned the wedding in seven months with the help of our wedding planner. I have been to and been in many weddings that I already knew what I wanted in terms of outfits and vendors. I let Sharath choose the colors and he wanted purple and gold (Kobe fan). I've always wanted to wear a wedding gown as I grew up wearing Nepali clothes since I was younger, so I knew that would be my reception outfit. I wanted my ceremony outfit to be a typical Nepali outfit but made sure to have a life size print out of me wearing a South Indian outfit and Sharath wearing a Nepali outfit, to incorporate both cultures. I only had one make up and hair trial and I decided to book Make up by Ana B right away. Not only was I so happy with my hair and make up looks, they made everyone in our bridal party and our cousins look phenomenal! I believe I was able to have a stress free day because I loved my hair and make up and because everything ran on time :). I knew I wanted a blush color for my wedding gown and was so happy with what I found! I think the most enjoyable part was having vendors who understood our vision and made me feel very special during the whole process. We had a 375 person wedding, so I was particularly scared it wouldn't be organized however all our guests have said everything was so organized and they loved the overall ambiance of the wedding. They also loved the skit that the bridesmaids, friends and family performed! I always wanted a white dance floor and I got the biggest one, which I loved!! It went so well with the decor and the bridesmaids outfits :). Make sure you pick vendors who really love their job. I believe our wedding went so well because all the vendors were professional and had so much experience that they could solve their own issues without any of us knowing about it! Also, on the day of, give all your worries and tasks to your wedding planner and vendors. It is so important to just be in the moment and soak in all the love in the room. My Mehndi artist, Shazia, was so amazingly sweet and patient. She made me feel so calm during the whole mehndi day and did an amazing job with everyones Mehndi! The Westin were very accommodating to all of our needs, they had a room available for whatever we needed, a whole hair and make up suite for 20 ppl in the morning, an after party room all set up, tea and break rooms throughout the day. Thank you Arjoo! 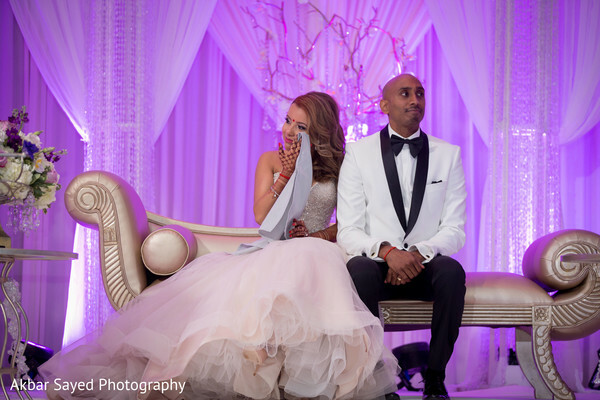 We'll be back with another incredible wedding feature tomorrow! 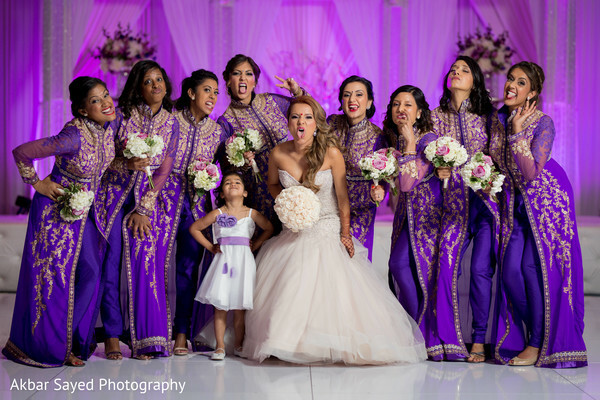 Akbar Sayed Photography and The Westin Alexandria are members of the Platinum Guide. Love what you see? Explore their portfolios.